Make your Christmas tree sparkle with glass ornaments that reflect the grandeur and elegance of Biltmore. 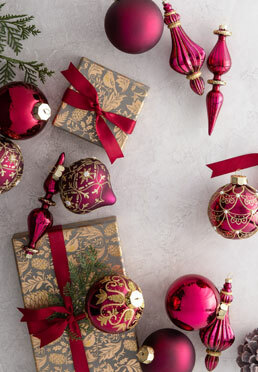 This collection features Christmas balls and finials intricately hand-painted with golden details. Mix with our matching picks to achieve a layered, multi-dimensional look.